Governor Andrew M. Cuomo announced today that HITS, Inc., a nationally-recognized special events management company based in Saugerties, Ulster County, has been awarded the contract to book major events at the new Exposition Center located at the New York State Fairgrounds. HITS, Inc. was selected following a Request for Proposals in which the firm provided a unique plan to attract a wide range and variety of events and shows to the venue. At least nine major events new to Upstate New York, including a fall festival, a drone racing competition, and a log home expo, have been booked to date for the Expo Center in 2018 and 2019, with five existing shows planning to expand into the new building next year. "The addition of the new Expo Center at the Fairgrounds is an exciting opportunity to showcase upstate New York by attracting highly sought-after shows and events throughout the year," Governor Cuomo said. "Bolstered by the opportunity to market the new venue and highlight all that the region has to offer, the Fairgrounds will continue to shatter attendance records and remain an economic driver for the entire region for years to come." HITS has grown its presence and portfolio exponentially over the years and today manages a broad array of year-round events across the country, ranging from consumer shows to new forms of sports and endurance events. The promotions firm has provided a robust plan to bring a diverse cross-section of unique events and shows to the Fairgrounds, working specifically with its partners at AIM Media to attract never-before-seen shows to the region. HITS owns properties throughout the East Coast and Midwest, from which it hosts and promotes major shows and events. Under the contract, HITS is required to book at least 12 new multi-day events in the Expo Center by the end of 2020—with at least three using other Fairgrounds buildings as well—and at least five new multi-day events in Fairgrounds buildings other than the Expo Center. 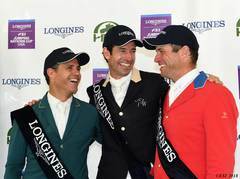 These events must not have been held at the Fairgrounds within the last 18 months. In addition, the company must retain 75 percent of the events it books from 2021 through the end of the contract at the end of 2023, while booking at least seven new events in the Expo Center, at least five of which must use other buildings, and five new events in other Fairgrounds buildings. The Request for Proposals was issued by the State Department of Agriculture and Markets in December 2017, seeking a private company to market the Fairgrounds and position the new Expo Center as a premier, year-round national venue. The Expo Center, with the help of the private booking and marketing firm, complements Central New York Rising, the region's comprehensive strategy to grow the economy by investing in the state's $100 billion tourism industry. Through the first half of 2018, an estimated 500,275 people attended non-Fair events at the Fairgrounds, up 34.7 percent from the 371,278 who attended non-Fair events in the first half of 2017. Estimates are based on car counts, using an industry standard multiplier for the average number of people in each vehicle. This continues a trend of strong increases in estimated attendance. From 2016 to 2017, attendance rose 57 percent. The Taste NY Fall Festival, a family-friendly festival featuring New York vendors selling locally produced and manufactured food and beverages, pumpkin patches and pumpkin carving, amusement rides and farm petting zoos. The HITS Indoor Championships, a new horse show event that is a developmental competition for Junior and Amateur riders at the beginning and intermediate levels in order to continue to develop the sport at the grass roots level. The FlyFast Drone Racing Competition and Showcase, a racing competition for amateurs and professionals which includes drone flying lessons for first time pilots and workshops and clinics for developing drone operators and racers. The event highlights the Governor's investment in unmanned aerial vehicle technology, as the area between Syracuse and Rome has been designated one of only a handful of drone testing corridors in the nation. The Empire Alpaca Showtacular, a showcase for the best Alpacas in the Northeast, along with fiber arts demonstrations and contests. The show is a joint production of the New York State and New England Alpaca organizations. The AIM Log and Timber Home Show, which features a consumer exhibition, paired with in-depth education on designing, building, and outfitting log and timber homes. Two World Series of Team Roping events from the premier team roping event company featuring an annual payout of more than $12 million to the more than 90,000 teams that compete over the course of each year for the championship title. The Woodworking Showcase and the Healthy Living Expo, two new event series launched by HITS partner AIM Media in conjunction with its leading healthy living and woodworking brands Yoga Journal, Oxygen, Clean Eating, Better Nutrition, and Woodsmith. These events will feature a consumer exhibition, interactive hands-on sessions and educational seminars. Two RV rallies from separate owner clubs, in June and September. Each is a regional rally, featuring 500 to 600 members in their RVs. At least one show will also host a 600-unit RV show and sale. In addition, five existing Fairgrounds shows, including the New York Sportsman's Expo, The Boat Show, The New York Farm Show, an RV show and a dog show, will move to the Expo Center, allowing them to expand. The Exposition Center is part of the Governor's multi-year plan to renovate the Fairgrounds in the town of Geddes, home to the nation's oldest state fair since 1890. The Fairgrounds were transformed by the demolition of an unattractive Main Gate and a racetrack used for less than one week a year. In their places rose an attractive and architecturally-significant Main Gate, a full-service RV park available during the Fair and for selected non-Fair events, large open paved and grass spaces that create room for a Midway and other Fair programming as well as multiple uses for non-Fair events, a new home for the New York State Police exhibit at the Fair, a new Turtle Mound performance venue for the Indian Village, an open festival ground with an attractive pond, and a complete renovation of the Fairgrounds' largest parking lot, including paving, drainage, lighting, and a new ramp to I-690. New York State Commissioner of Agriculture Richard A. Ball said, "These are exciting times for the State Fairgrounds and Central New York. Our non-Fair business at the Fairgrounds has increased every year since Governor Cuomo began investing in our facilities. It's easy to see that 2019 will break every record yet again." 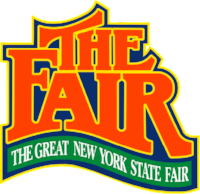 New York State Fair Acting Director Troy Waffner said, "The fuel for strong growth has always been here. The Governor's investments provided the spark that has pushed our year-round business to new heights. We look forward to another year of record-setting growth that helps our friends and neighbors in Central New York." Tom Struzzieri, CEO of HITS, Inc. said, "We are proud to have been chosen to market the stunning new Expo Center as well as the other Fairgrounds buildings for the State of New York. This is a natural extension of our nearly four decades of event creation and management. We are excited to get started on this important undertaking." Onondaga County Executive Joanie Mahoney said, "Governor Cuomo's strategy is working. The western shore of Onondaga Lake is thriving and the growth coming to an already busy Fairgrounds is helping support the Central New York economy." Press release courtesy of New York State.